The City of Santa Rosa’s Art in Public Places Committee is excited to announce that artists Mark Grieve and Ilana Spector’s “Cyclisk” was installed on Saturday, August 21 along Santa Rosa Avenue in front of Good Stuff Auto. This monumental public artwork is made out of recycled bicycles, and stands 60 feet tall! PROJECT DESCRIPTIONThe City of Santa Rosa, in conjunction with Nissan of Santa Rosa, have commissioned Artists Mark Grieve and Ilana Spector to create a dynamic new artwork for the Santa Rosa corridor, which will be installed on Santa Rosa Avenue and South A Street in Santa Rosa. The Work, entitled, “Cyclisk,” is a sixty-foot-high (five-story) Egyptian-style obelisk made from recycled bicycles. Don't miss out on the major environmental conference of the year! Join Rails-to-Trails Conservancy (RTC) and our partners on October 5, 2010, at COSI in Columbus, Ohio for the annual Summit on Sustainability & the Environment. Auden Schendler, author of Getting Green Done, will deliver the keynote. Rails-to-Trails Conservancy Midwest Office has helped plan an exciting “Trail Track” and has been nominated for a Sustainability Award. A pre-event reception on October 4 will feature former Ohio Congressman Ralph Regula, and former Interior Secretary Bruce Babbitt. Purchase tickets herefor both events, or visit www.greenregion.org for more information. Host and exhibitor opportunities are also available: email Brandi Whetstone or call 614.233.4174 for more information. The National Highway Traffic Safety Administration’s (NHTSA) National Center for Statistics and Analysis has released newfatality data for 2009. While it’s still hard to fathom that more than 33,000 people were killed in our streets last year, the trend is in the right direction. The total number of traffic fatalities dropped 9.7% from 37,423 to 33,808. Cyclist fatalities dropped somewhat faster: a 12% decline from 718 in 2008 to 630 in 2009. One disappointment is that pedestrian fatalities declined at a slower rate than the others, lowering 7.3% from 4,414 to 4,092. Classic old-fashioned Dutch "bakfiets", hardly changed for 100 years and still hand-made in the Netherlands. Big, heavy, indestructible and simply charming. Great either for promotion or really heavy work. We have standard models or can modify them to your needs. Please note that these trikes are really big and heavy (350cm long, 125kg+). They are thus only suitable for essentially flat terrain such as in Holland. Heavy load hauling, promotion, delivery, house moving, rental. Saturday, September 11th 7:00-9 a.m.
Cyclist Connection, 200 Cemetery Rd., Canal Winchester, OH. Roads will be marked and maps provided. 45, 55, 95, 105 options. Budget Tour. $2 member, $4 non-member. Stopped at roll: to checkout the store on Lane Ave. We parked in back and a guy had his mountain bike stolen from the front of the store by someone who was looking for an upgrade. South to Bono Pizza, who opened up for us special. 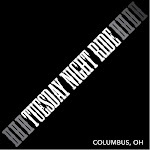 Please contact me at rgeorge@bikethecbus.com to arrange pickup/delivery.